If you love Tenderstem Broccoli as much as I do, you will definitely love my Roasted Parmesan Tenderstem Broccoli. I have never kept my love for Tenderstem broccoli hidden. It is my go-to vegetable that I eat at very opportunity. 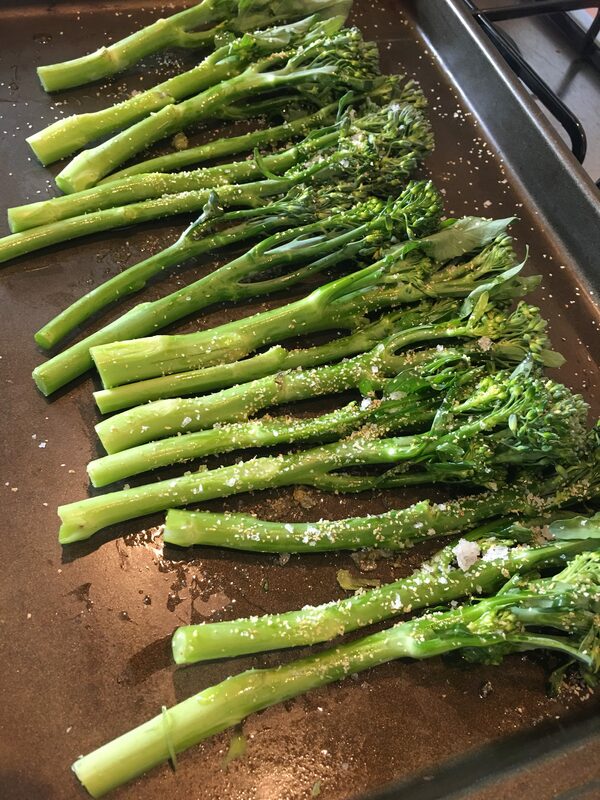 On more than one occasion I will eat a bit plate of it for my lunch – which is what I did at the weekend when I took the photos for my Roasted Parmesan Tenderstem Broccoli. There is no denying it, I am obsessed with Tenderstem broccoli. I’ve always liked broccoli but like turned into an obsession just over a year ago when I was buying around five packs of Tenderstem a week. I do usually just steam the Tenderstem and it is always delicious, but I did want to think of other ways to make it even more exciting. The first was my Tenderstem Broccoli with Oyster Sauce & Garlic. 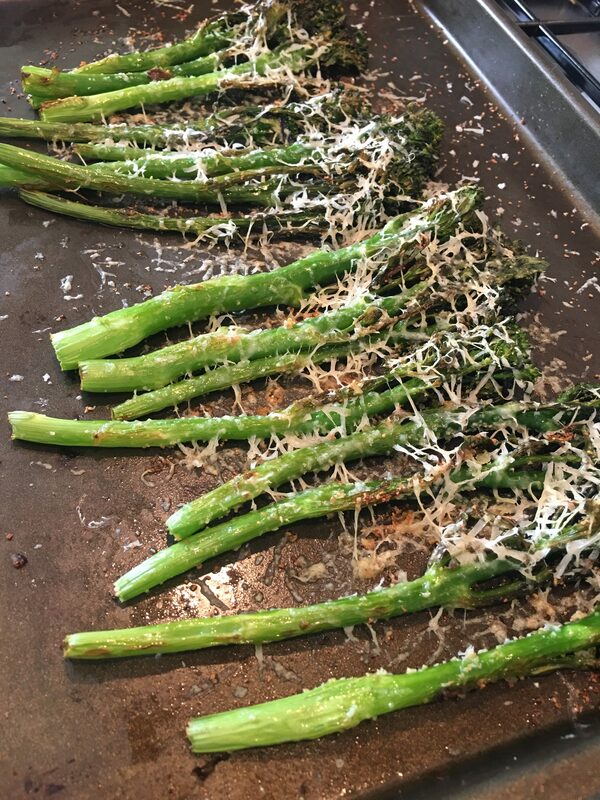 I then came up with this recipe – Roasted Parmesan Tenderstem Broccoli. I made this recipe and put it on my Instastory asking people if they wanted the recipe. I wasn’t sure if people would be interested because it is pretty simple but quite a few people said they wanted the recipe – so here it is! As I said it really is quite simple, but it is really tasty so a win win in my opinion! The Tenderstem gets lovely and crisp and the parmesan adds a salty flavour which goes well with the garlic. Tenderstem does vary; sometimes you can get quick thick stems whilst other times it can be really skinny. Adjust the time you roast it in the oven accordingly because you want the stems to be tender but you don’t want the tops to get too brown! This works great as a side dish for any meal, but would be particularly good at a BBQ. If you love Tenderstem Broccoli as much as I do, you will definitely love my Roasted Parmesan Tenderstem Broccoli. Instead of using olive oil, you can use spray oil if you would prefer. This entry was posted in Sides & Salads on April 25, 2018 by Curly. What a yummy way to serve broccoli! I’m with you, tender stem broccoli is soooo good! Never have I thought to roast them though, I’m going to LOVE this. Once you have it like this you will never just steam/boil it again! 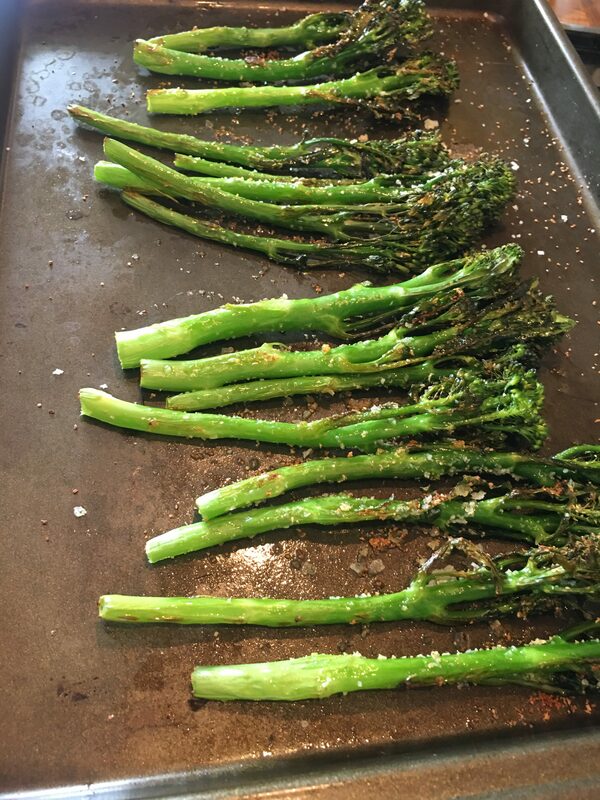 I do love roasted broccoli with Parmesan and also some other green vegetables like asparagus. This is first time I am seeing tender stem broccoli. looks pretty!